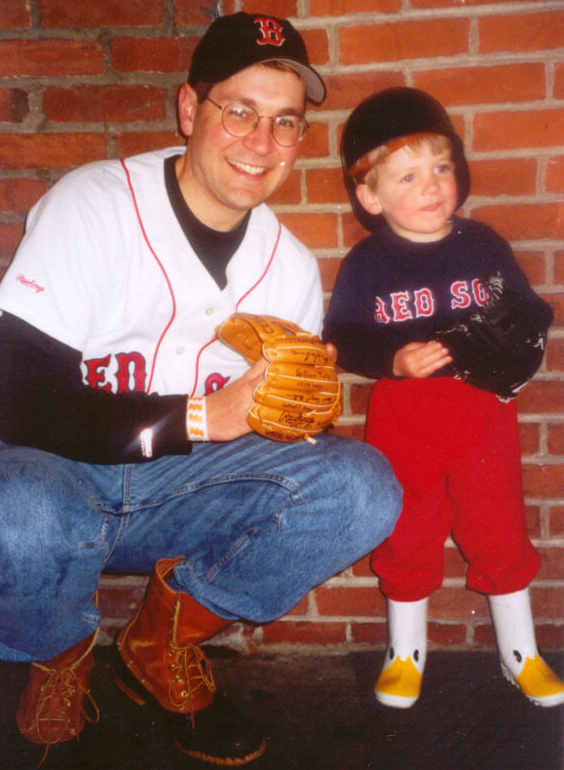 As I wrote in my blog article, Fenway Holiday, one of the best days I’ve ever had at Fenway Park took place on Father’s Day, 2002. On that day, I brought my then three year-old son to his first Red Sox game. He insisted on wearing his duck boots (it was a wet day) and on wearing his blue Red Sox helmet backwards (funny, now that he’s 8, he still wears his hat backwards). After the game, my son and I joined thousands of others on Fenway’s outfield grass, playing catch in the shadow of the Green Monster. I’ll always remember the emotional rush of the day — an truly remarkable experience for a young dad — and I remember thinking, this is my favorite day as a parent. That was my introduction to Dr. Charles Steinberg, the Red Sox’ Senior Vice President for Public Affairs who, last week, accepted a front office position with the Los Angeles Dodgers. Steinberg, who invented Fathers Day at Fenway, transformed the fan experience for all of us in Red Sox Nation, and the news of his departure made me truly sad. Am I being overly sentimental? No. With Steinberg in the front office, we knew there was someone with power who was thinking about the kids of Red Sox Nation, and someone who was tending to the sacredness of the Fenway experience 81 games per year. Steinberg designed the Fenway experience for Fenway first-timers, which injected magic into the game for all fans, every game, regardless of the win-loss outcome. Certainly, winning changed the tone of the fan experience at Fenway Park. But so much of the joy we’ve grown accustomed to at Fenway was masterminded by Steinberg. He is a treasure. He is L.A.’s treasure now. Seems a fitting destination for the Walt Disney of baseball. Right! The big cheeses at Fenway should see this.